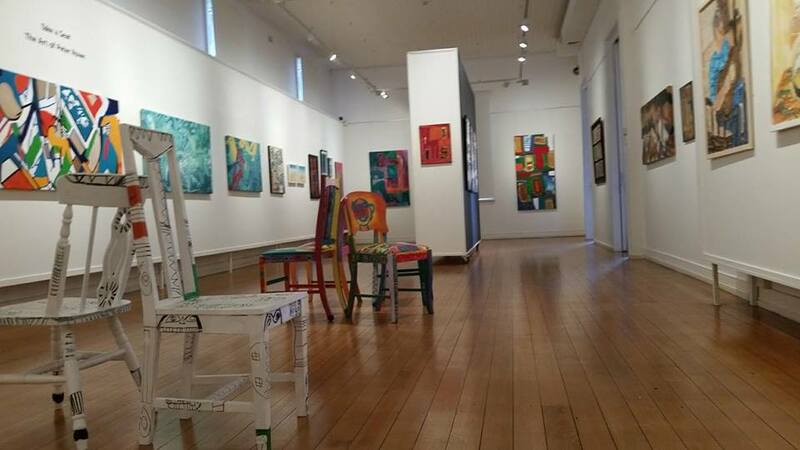 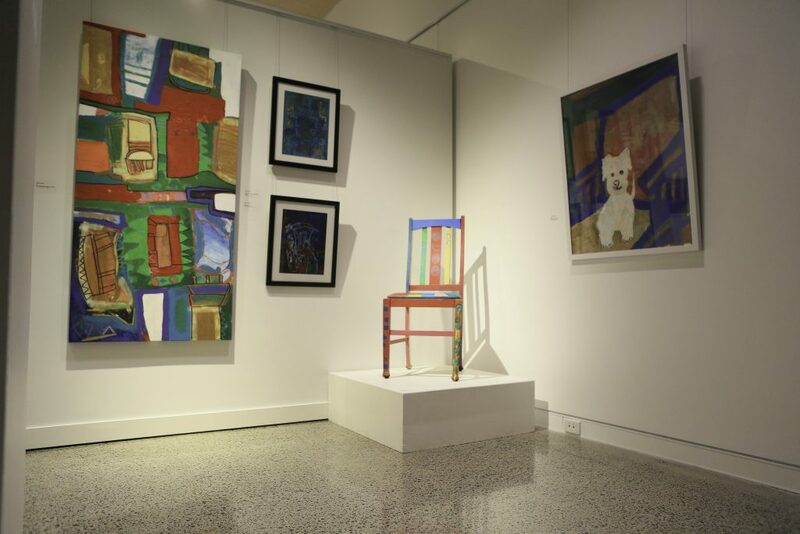 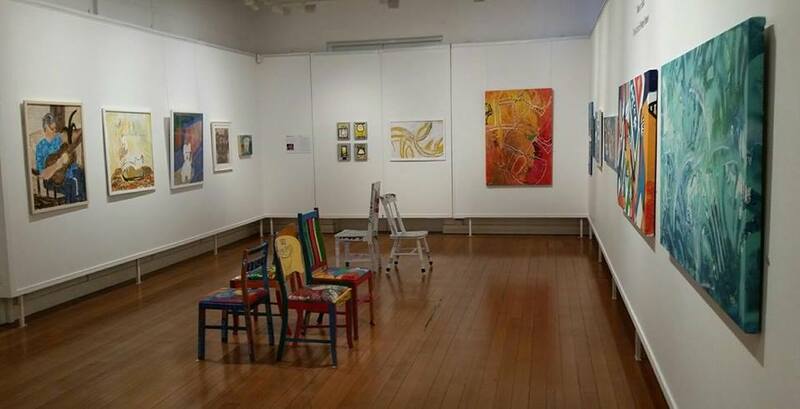 My ‘Take a Seat’ collection of works has been exhibited at Gympie Regional Gallery, Gladstone Regional Gallery and also Hervey Bay Regional Gallery. 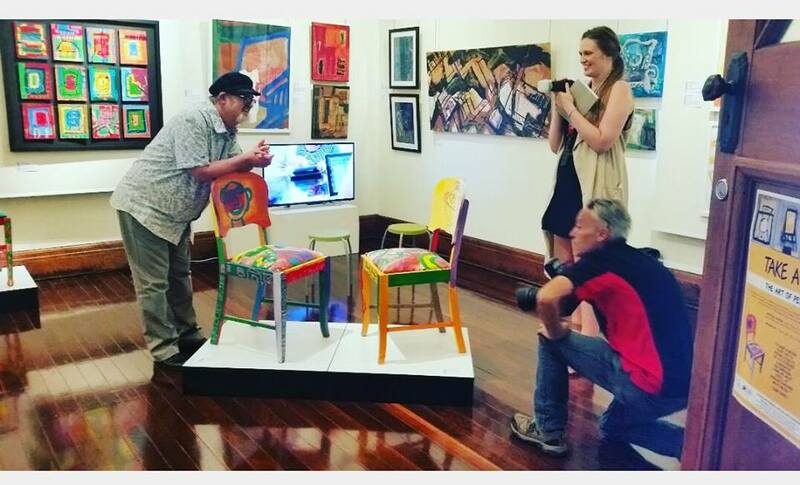 This particular exhibition was based around the concept of chairs being used as a metaphor for the supports, family gatherings, comfort, home and relaxation that have enabled me to fulfil my dreams. 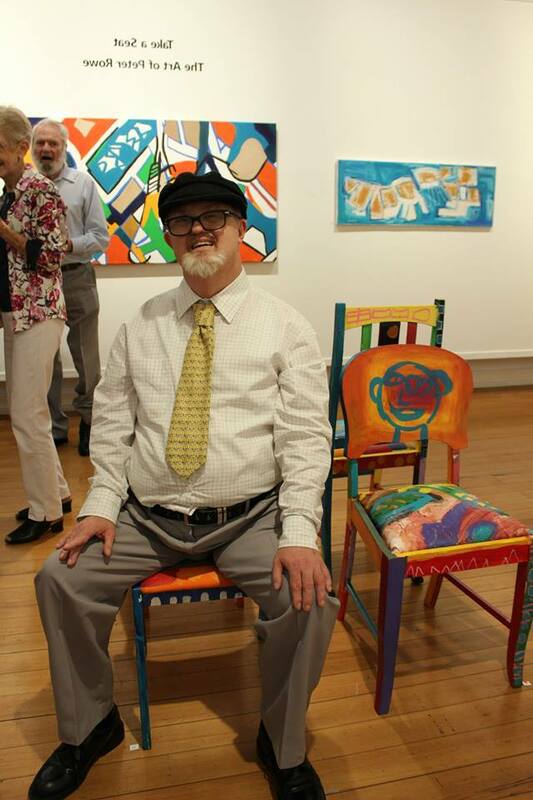 Using chairs opened up a challenging but exciting form of self expression and a diverse new way of representing my life. 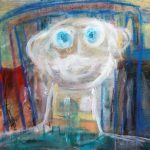 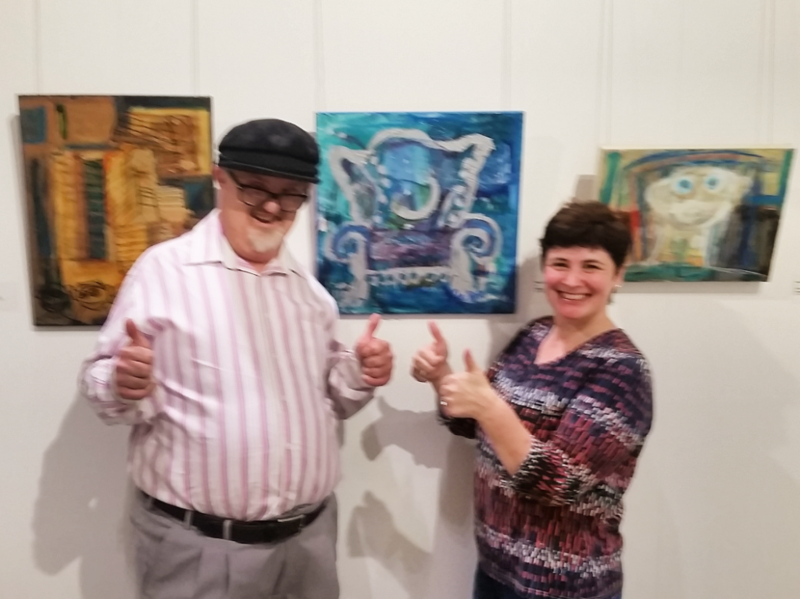 This exhibition was made possible by the enthusiastic support of notable art collector and friend, John McCrea, who has purchased several of my works over the years. 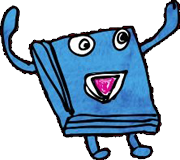 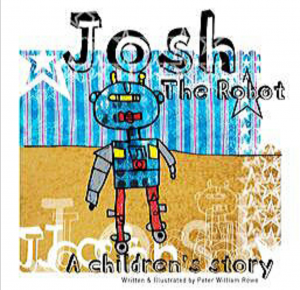 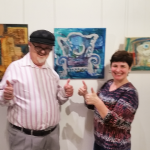 I am incredibly grateful for the support of people like John and other people in my life, who not only support me with my creative endeavours, but also value me as an artist, and the messages I share. 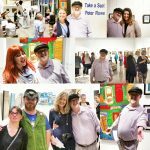 I would also like to acknowledge the galleries and supportive staff, that have welcomed my art to be displayed within each of their unique spaces. 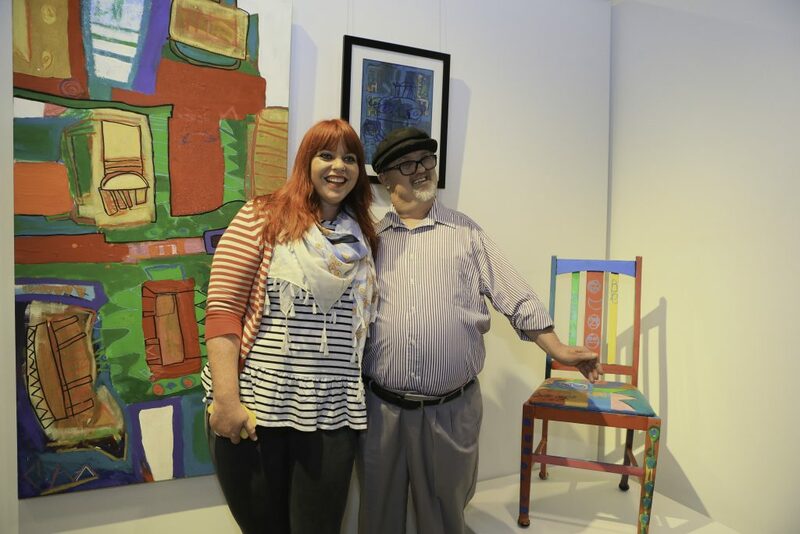 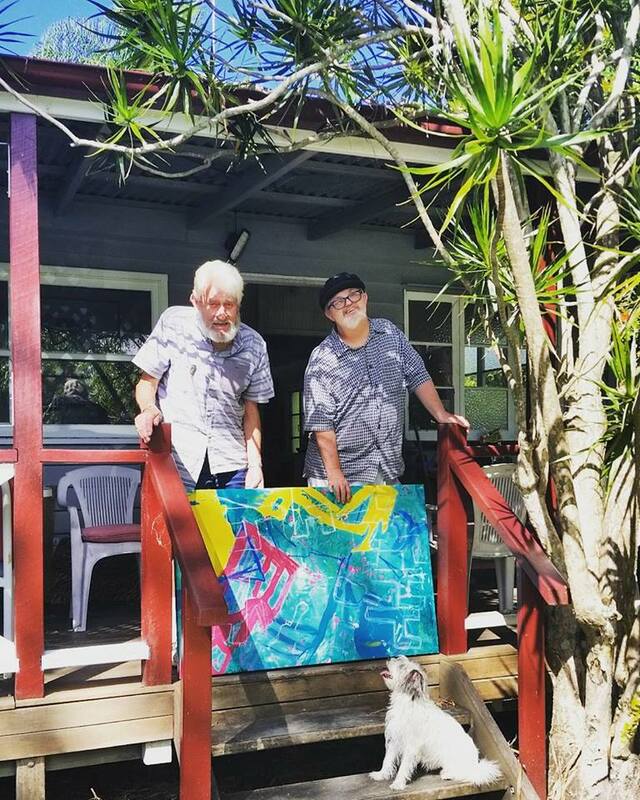 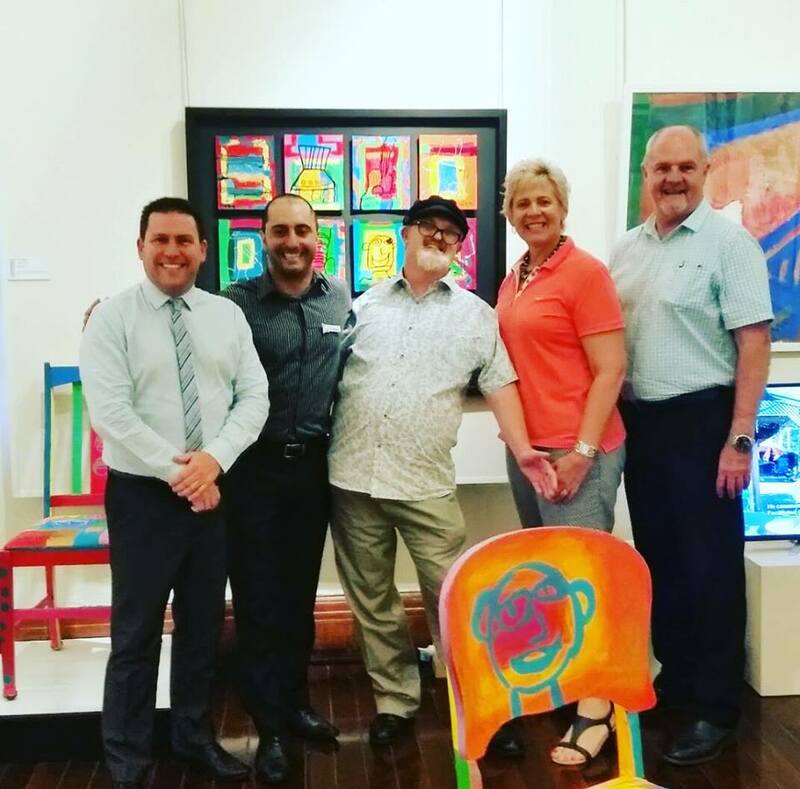 It was such a pleasure to be invited to have a selection of works from my ‘Take a Seat’ exhibition on display along with art of fellow talented artists of ‘Art Affair from the Fraser Coast. 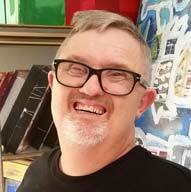 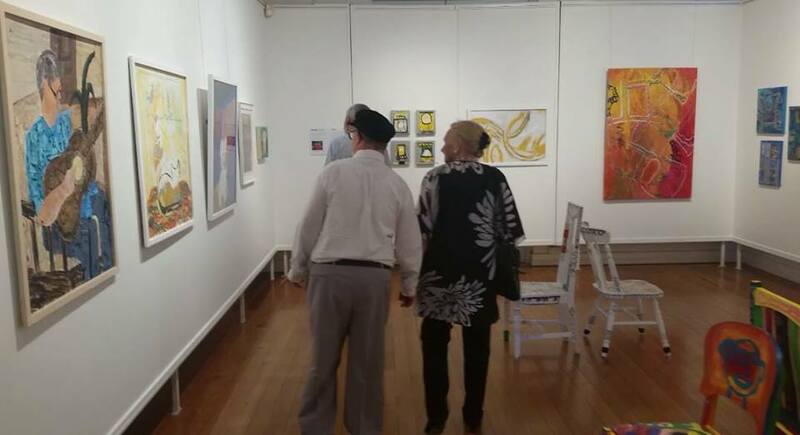 ‘Art Affair’ is held annually as part of the celebrations of the International Day of people with a disability. 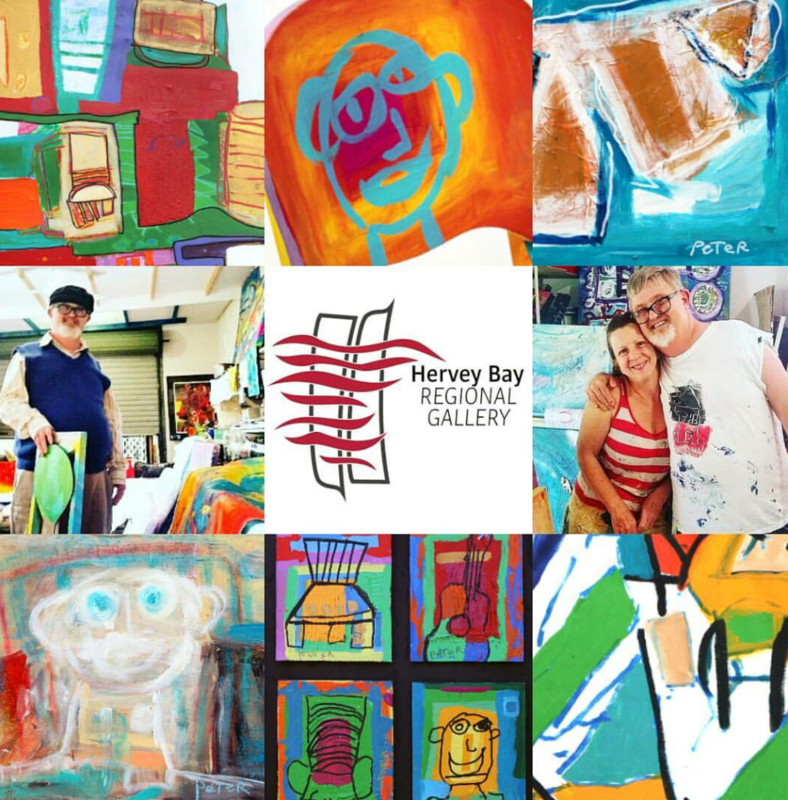 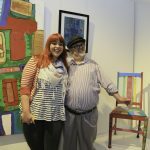 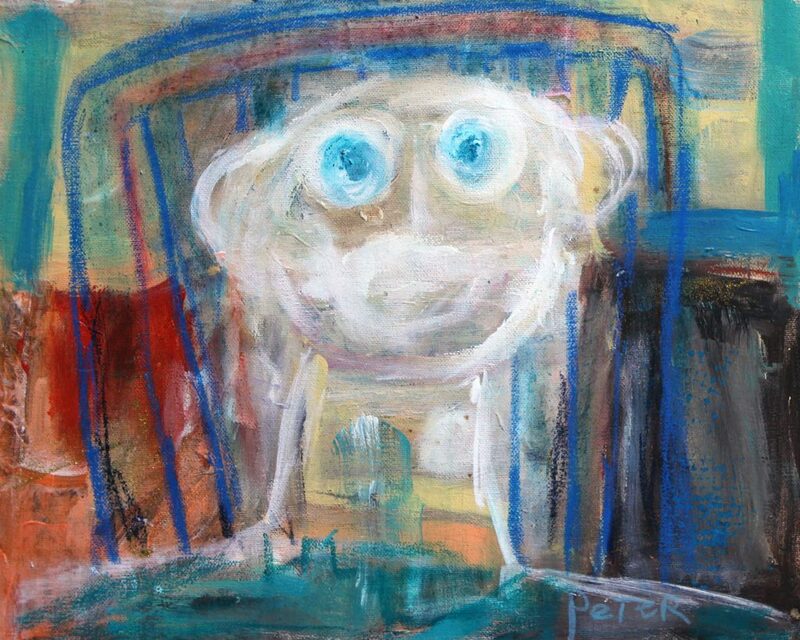 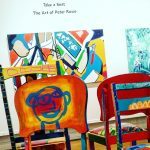 This exhibition also coincided with ‘An Evening with Peter Rowe’ which was held the night after the exhibition opening on the 16th of September at Hervey Bay Regional Gallery. 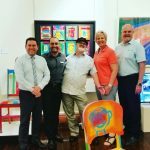 Gladstone Regional Gallery was a very important part of my ‘Take a Seat’ exhibition because it was also how my connection with Gladstone Community Linking Agency began. 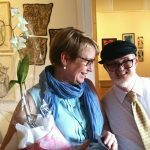 My now friend Suzie Lawler saw that my works were to be on display in her home town and mentioned this to the rest of her team at GCLA. 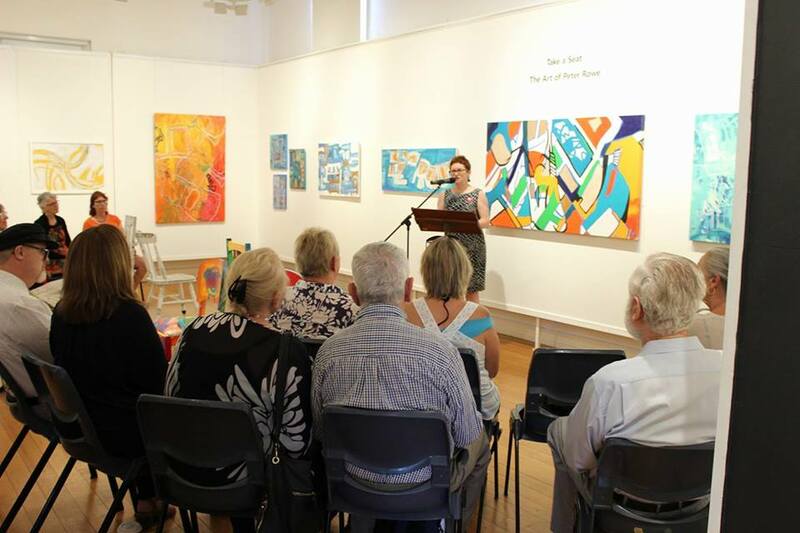 This would then lead to my first guest speaking engagement for GCLA which was held the day before the opening of my Gladstone Regional Gallery exhibition. 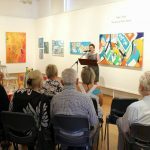 I also delivered a speech for the opening which I was honoured to have Mayor Matt Burnett and local Councillors present. 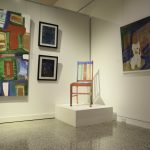 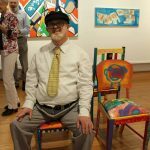 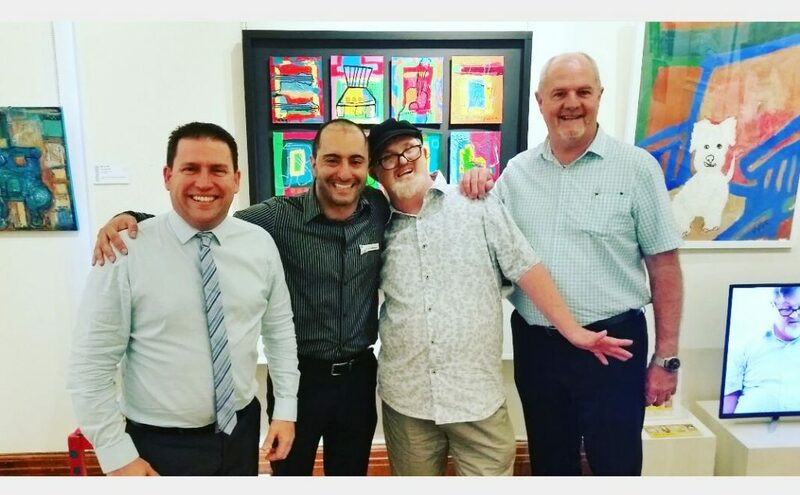 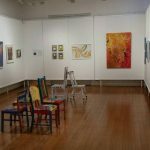 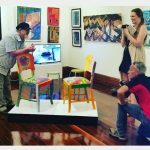 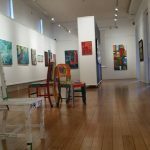 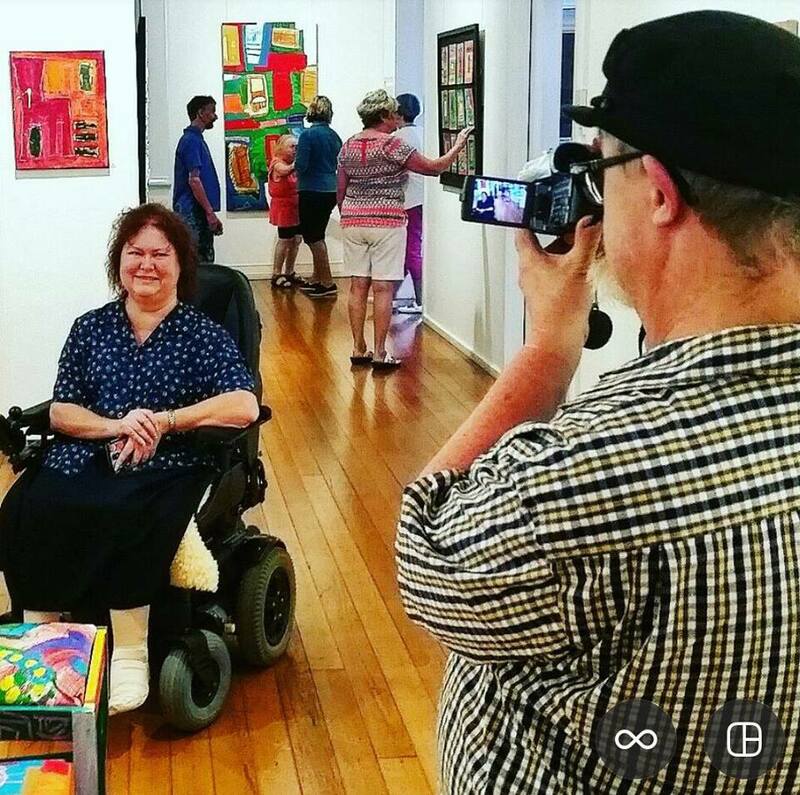 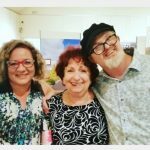 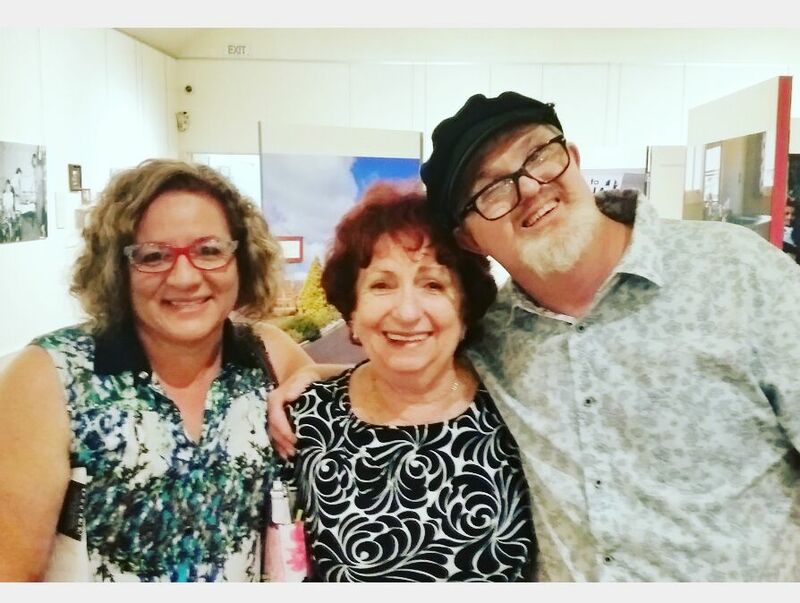 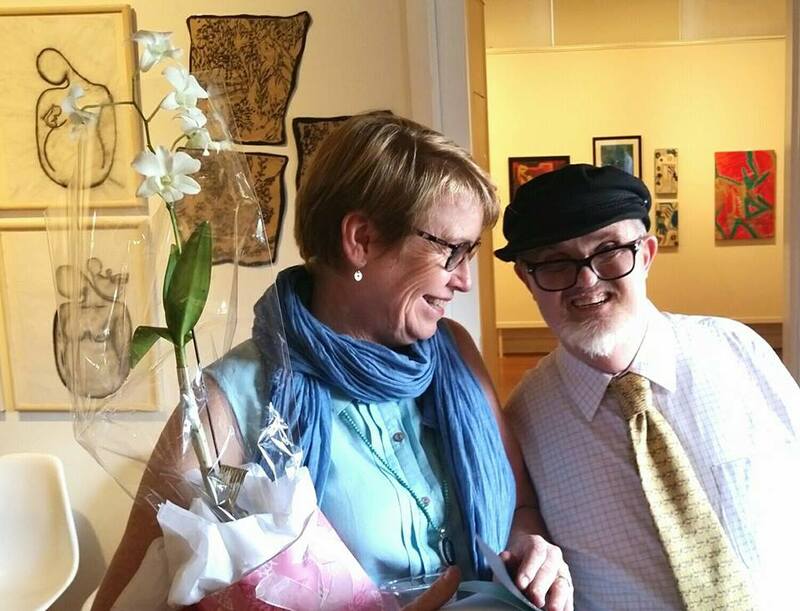 Gympie Regional Gallery was the launch of my ‘Take a Seat’ exhibition and was the result of a great deal of support and work from many people in my circle of support. 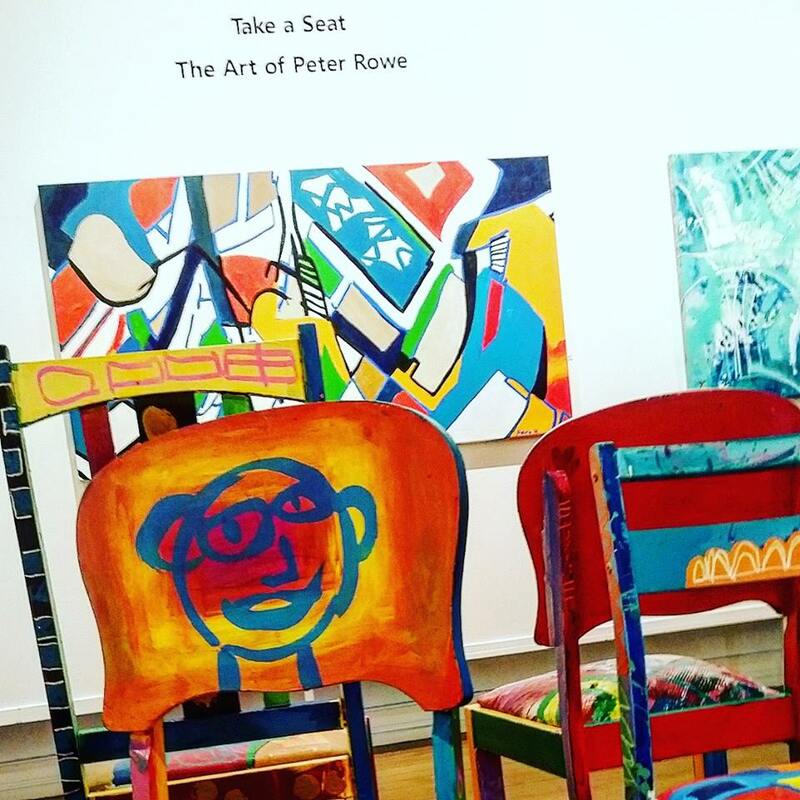 This exhibition was made possible by the support of notable art collector and friend John McCrea, who has acquired several pieces of my work over the years including from my ‘Take a Seat’ collection.